Feeling guilty or shameful after doing something we don't think we should have done is perfectly normal, but for a small number of people these feelings take over their lives. Guilt and shame are things that are with us from toddler age. Research indicates that children first experience guilt between the ages of 3-6, whereas shame comes a lot earlier, with some believing it first appears between the ages of 12 months and 3 years. One of the problems is that we are coached through life that it is good to feel guilty, it a guardian for all moral standards and thus experiencing this emotion tells us we have acted incorrectly. Shame, on the other hand, is perceived as being altogether more personal and therefore seen as less significant, but they have to be considered as equals as they work together to create major problems in adulthood. There are time when feeling guilty is healthy as by feeling it we know we have broken our own moral code and it warns us against taking such actions again in the future. It also helps us to establish pathways which are socially acceptable and enabling us to function as useful human beings. Guilt, on the whole, can be defined as our conscience, but this is not always the best judge of what is right and wrong, and the problems really start when the guilt seeps in after you have done something you have no need to feel guilty about. This transpires in many shapes and forms. At school or work, for example, if you have set yourself unrealistic targets, or those around you have, and you fail to meet that standard, you could be flooded with guilt at letting yourself, or them, down. Guilt often also stems from low self esteem where we take on the belief that everything that goes wrong is our fault, and those feelings rear their ugly heads with a vengeance. Shame is often confused with guilt, when actually shame is the discomfort we feel when we have let somebody, or ourselves down. When somebody is under the control of these emotions their lives are governed by them on so many levels. They start to expect that they will fail epically in everything they attempt, and literally wait for the waves of guilt and shame to wash over them. Psychological orders of this type, and to this extent, need handling very carefully. Nobody can make somebody who truly believes they are a loser into someone who believes in themselves over night. 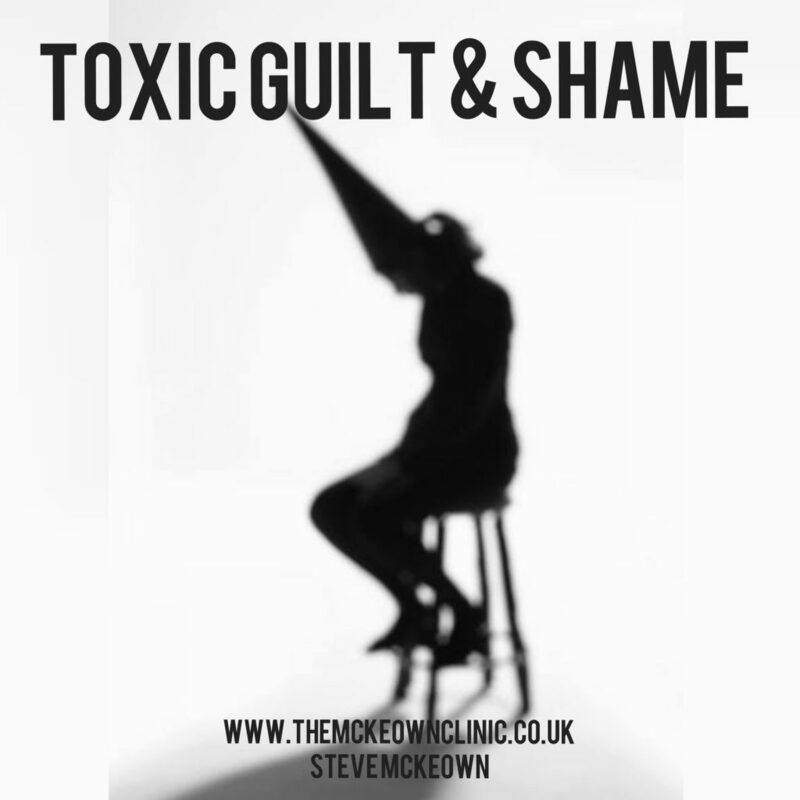 Those who experience unhealthy volumes of guilt and shame often display suicidal tendencies in the misguided belief that they are so worthless they would be better off dead and that those around them would have happier lives if they weren't around to let them down any more. Quite how normal emotions suddenly become all controlling is a very complex area. There are trigger events that are recognised as the point when this low self esteem first started, but such is the complexity of the human psyche, nobody will ever know for certain. (*Please note results vary from person to person and there is no guarantee of success).